On the eve of Film4 FrightFest 2015, Barbara Crampton talks about part of the ‘horror club’, scary scripts, still doing the laundry and why Abner Pastoll is one to watch.Q: Welcome to FrightFest Barbara. What was your initial reaction when told you were this year’s special Icon guest? A: First of all, I want to say thank you for having me. The importance of these film festivals for young directors to get their work seen and recognized is of the upmost importance in today’s film market. The competition to be included in one of the major genre film festivals is extremely high. When I was a young actress there were a handful of festivals where people could showcase their work. Today, there are many genre festivals across the globe that introduce the hungry audiences to their deepest fears, anxieties and monsters in the bedroom. That being said, to be invited to one of the best genre festivals around today, to be remembered for my past horror movies and to share some of my recent work, to support the new young film makers that I have had the wonderful opportunity to work with is very meaningful to me. I have worked in this genre for a long-time but only recently have come to realize how important these movies have been to me and continue to be for so many people. Finally, I feel like I am part of a club I didn’t realize I have been in for a long-time. To be this year’s special guest is an honour and one for which I am truly grateful. Q: You have four films at FrightFest. You seem busier than ever. What is the secret to your career longevity? A: My longevity is a complete surprise to me. About 15 years ago when I moved up to San Francisco with my husband I thought I was done. I got married, I had two kids back to back; that was something I felt was really missing from my life. So the years with my growing family were very precious and important to me. I completely lost myself in being a mom, happily so. When I got the call to appear in YOU’RE NEXT, I thought it would be a brief diversion from family life. Little did I know how much fun I was going to have playing with all of these burgeoning, creative film makers and that I would easily be lured back a few more times. Currently, I am able to balance my home life and work life. I do have a few other acting jobs coming up and I am producing one movie and have another in development. My family has been incredibly supportive and I, in turn, keep coming back to do their laundry, shop for their back to school supplies and organize their after school activities. I am even planning a get-a-way vacation with my husband! I think for me the longevity is about doing all of these things that I really love, leaving space for all that comes up in life. Q: SUN CHOKE is getting a lot of positive reaction and you are brilliant in the film. What made you choose to play that role? A: When I first read the script it really scared me, the role I mean. The film is very dark and explores some very fearsome inclinations in one’s psyche. I wasn’t sure if I wanted to go there or even if I could. But it is so different than any other character I have ever played that I didn’t want the fear of playing the role get in the way. So with a lot of trepidation, I said yes and was treated to an amazing, collaborative experience with one of the best actresses I have ever worked with and some of the best material that’s been offered to me. I am glad it’s getting so much positive response. I think the writer/director Ben Cresciman is extremely talented and the production team I worked with was top notch. I am glad my fear didn’t get in the way of being scary. Q: WE ARE STILL HERE has been very popular on the festival circuit. Is that because director Ted Geoghegan is a horror buff and knows all the fanboy tricks? A: Potentially there’s a small amount of truth to that but is too simplistic a statement to make. My friend Ted has a rich knowledge of the genre, that is true, but he also has a deep heart and soul that can connect to varying characters and their motivations. The story he created works on many levels. It has a grounded foundation in two people’s grief and loss, and many supernatural scares. It has a connection to history, first of the genre and to something endemic to the story. Not to mention the fact that Ted was aided by two of the most important people that made WE ARE STILL HERE a festival favourite, Karim Hussain, our stylish and formidable Director of Photography and our Producer, Travis Stevens whose guidance, smarts and kindness improved every aspect of the film. Q: ROAD GAMES is Abner Pastoll’s feature debut as a director? You seem to like supporting first time directors? A: I have worked with one of the best horror directors of the 1980s but I think it’s important to support the young filmmakers of today. They have interesting stories to tell that reflect their state of mind and current popular culture. When Abner reached out to me personally to ask me to play a part in his movie, I read the script and was completely floored by it. It was one of the most well crafted screenplays I ever read and had a unique sense of humour. I think Abner is one to watch in the coming years. Q: You only have a small cameo in TALES OF HALLOWEEN. You are in Axelle Carolyn’s episode at a party scene with directors Stuart Gordon and Mick Garris and actress Lisa Marie. Fun to do? A: Yes! We had a great evening all together, it is a party scene so we acted like we were at a party. I know these people quite well and we had a great time between set-ups, getting caught up and reminiscing. Two people in the scene that I didn’t know very well were Lin Shaye and Alex Essoe. I was excited to work with both of them as I am a fan of both actresses. I had just seen Alex in STARRY EYES and she impressed me with her work as a starving actress who will do anything to get what she wants. Also, I really wanted to support my friend, Axelle Carolyn. She’s the one who came up with the original premise for TALES OF HALLOWEEN. She put it all together. She’s a woman, she’s fierce and I wanted to help her see her vision realized, no matter how small a part I ultimately had to play. The movie itself has been getting a great response and I am so happy and proud of her. Q: What keeps drawing you back to the Horror Genre and how do you feel being crowned a ‘Scream Queen’? Q: You grew up on the Carnival circuit. Can you describe what that was like? A: Fun, exciting, weird. We were always in a new town every week so I would make friends with the ride boys, the fried bread dough sellers and the bearded lady. I could ride any ride I wanted on the lot for free, play any game, see any show and I had hundreds of stuffed animals in my room at home. The carnival world was full of questionable and interesting characters mostly living on the fringe of life. A lot of people working in that industry felt like they didn’t belong; being on the road and constantly moving oddly gave them a sense of peace. There was a unity and camaraderie that we all experienced coming from different backgrounds. It enabled me to completely put myself in other’s shoes and be non-judgemental which is one of the greatest gifts my family has ever given me. I hope it continues to afford me the momentum of treating all others with respect and kindness no matter who they are, where they come from, what bodies they choose to inhabit or whom they want to love. Q: You have a stage background. How important an influence has this been and continues to be? A: I am very happy that I had a full education for my acting background. Scene study, character analysis, stage combat, movment, voice lessons. All these things help inform every role I have ever played. To have a classic background and education in acting is something I think is missing in the young actors of today. Everyone seems to just act as who they are naturally. Where is the character development? I think sometimes the British actors are a little more advanced in that area than we are. Working on the stage really prepares you to engage your whole physical being in the process of creating a character. Q: We all remember you from RE-ANIMATOR and FROM BEYOND of course but how do you reflect on what those two films did for you? A: A loose quote, but as Herbert West once said, “They gave me life!” I don’t think I would be where I am today without having had the glorious opportunity of working on two beloved films by Stuart Gordon. 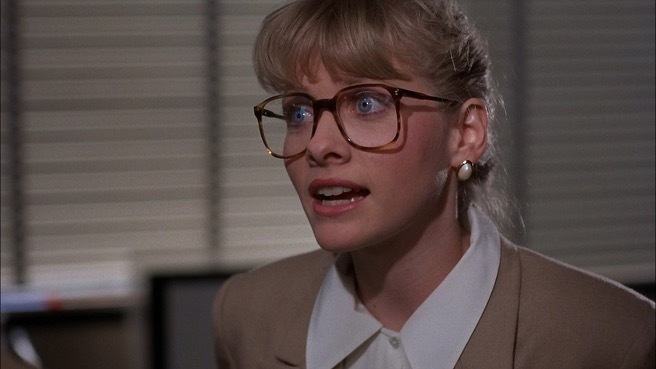 Those films, especially RE-ANIMATOR launched my career as an actress. I am forever grateful to both Stuart Gordon for giving me the role of Megan Halsey and for the other girl who had it first and turned it down. Q: How do you think the Horror genre has changed/evolved over the years since you started out? A: That’s a big question! Do you have an hour? In short, as far as I can tell, there are some major things that have evolved. It’s easier than ever to make a movie, anyone can do it, perhaps not well, but anyone can. We have digital instead of film so it’s a faster process. It’s more collaborative than it’s ever been and everyone seems to understand each other’s jobs. There are many more platforms on which to show your work and also one thing has never changed: no one is ever completely satisfied, the artist or the audience. We are smarter and more difficult to please than ever. Q: What has been your favourite role so far? A: My favourite role so far is the one I am doing right now. Q: And the favourite role you’d love to play? A: I probably won’t know that until after I have finished it because it’s in the doing of things and the immediacy of performing that I think we get our deepest personal rewards.